Obviously there are fewer comments on message boards because of Christmas and the Matchbox team have only just returned to their desks and so this report will be shorter than usual. Many collectors in Europe are frustrated that again several 2013 models have not yet appeared on the smaller blister card, although the first models of 2014 are in some shops. We have not seen the VW Karmann Type 34 Ghia Convertible, BMW 1M, Whiplash, MBX Coupe, Turn Tamer, 1966 Dodge A100Pickup, Deep Diver or version two of the BMW Police Motorbike. In particular the VW and BMW cars would be very popular sellers in Europe and valuable sales must be lost.Seven of these missing models are brand new castings and of course there is concern that as with last year some models will fail to be released outside of the US. 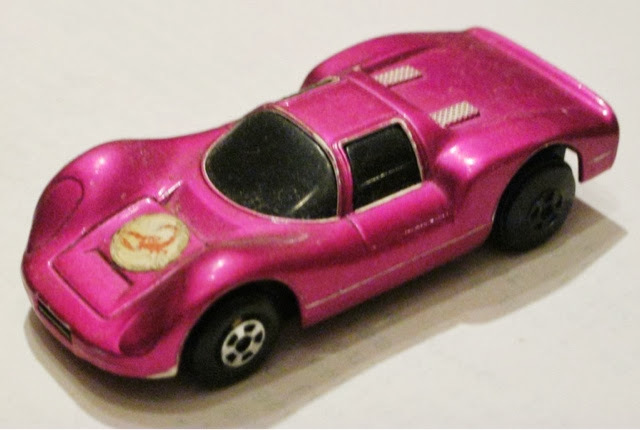 It is understood that the Research and Design team can have nothing to do with distribution and it would be totally unfair to level any criticism in that direction, but there is a feeling amongst Europeancollectors that Mattel does not see the release of all models in the range as a priority and that collectors of the Matchbox range are not important. If all of the missing models were to be packaged in a single 10 pack, then at least Mattel would restore some confidence in the eyes of collectors this side of the Atlantic. The Questor has appeared in batch A of 2014 and we have already been informed of the delay with the Range RoverEvoque. I understand that there were problems with the mould of the BMW bike, but it is hoped that this may be released subsequently. Just when I was wondering what else I could write regarding Matchbox news a heavy, glossy magazine called “Toys ‘n’Playthings” came through my letter box. From the 1980s I used to visit the British Toy Fair in January, whether at Brighton, Earls Court or Olympia just to see which new models Matchbox had to offer for the forthcoming year. 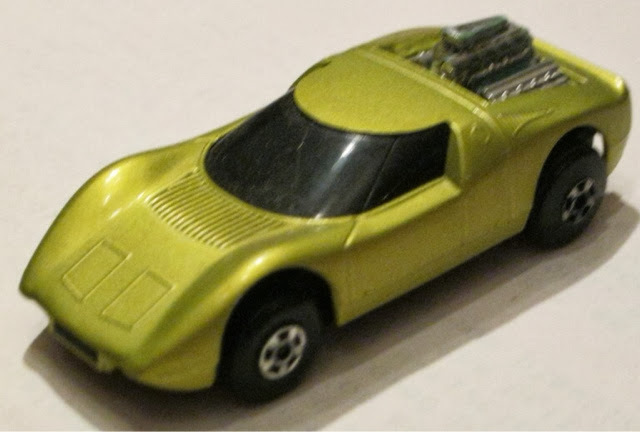 I can remember a real Lotus Europa on the large Matchbox stand and amazing displays each year of what the future involved for Matchbox collectors. The Casper set of models were dwarfed by a huge Casper set that could have come from the film, such was the attention to detail. Unfortunately, licensing problems meant the set of four models never went into production and it is believed that fewer than ten sets were made. Over the years many Toy Fair models have been created for trade Toy Fairs around the world and thankfully this continues in the US today. A few of the models are shown below. Sadly many years ago Mattel decided not to participate in thisUK event even though it appears that all of their major competitors take stands there. Thus I have not attended for more than ten years but for the past 30+ years I have been sent a complimentary copy of “Toys ‘n’ Playthings” , though I have tended to do little more than skim through in the forlorn hope of finding some reference to Matchbox. Today’s magazine looked different. It displayed a large Mattel logo on the front cover and the words “Unmistakeable Brands” and “Unforgettable Toys”. I wondered whether this 228 page magazine would be different from those that have gone before. The first full colour, double page featured Barbie products. The subsequent double page featured Monster High which was described as “freakily unique”. Another double page spread featured “Ever After High” which made three double pages dedicated now to products for girls. I wondered whether with all this expense whether there would be a 2 page spread on Matchbox. Alas, the next page was the list of Contents and I scanned the list in vain for anything relating to Matchbox though noted that 150 pages were dedicated to the Toy Fair, that Mattel was not attending. In the news section there was a paragraph that revealed that Mattel was having to pay MGA’s $137 million legal fees, but nothing on Matchbox. There was an interesting spread on the amount that toy companies had spent in 2012 and 2013 on UK television advertising. Mattel had spent just short of a staggering £8 million each year, with only Hasbro ahead in terms of expenditure. No-one has mentioned to me that Matchbox featured in the advertising. Another double page spread concentrated upon Barbie. An interview with Sainsbury’s Toy Buying Manager revealed that Mattel’s Hot Wheels Die Cast vehicles were third on the best selling list of toys for 2013. 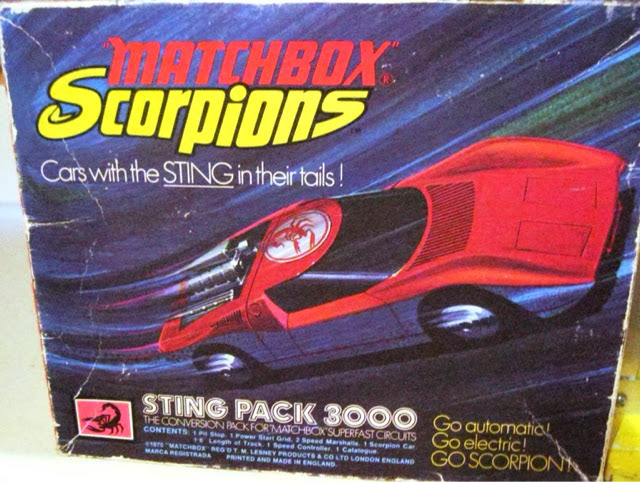 Unfortunately, Matchbox Toys would not have been able to compete as only older 5 packs were on the shelves of most stores. There is a preview of Mattel products which are described as an impressive portfolio of core brands and key licensing properties, but Matchbox does not feature in the list. When each of the ranges is described in detail, mention is made of the great new Track System for Hot Wheels. The themes for this brand for 2014 are Workshop, City, Race and Off-Road.Then for the only time in this prestigious publication the Matchbox brand is mentioned in a solitary sentence. “Matchbox will continue to create countless adventures in the worlds of Construction, Adventure City, Heroic Rescue and Explorers”. How sad that a once great brand now merits just one sentence in a publication devoted to toys. Although it is difficult to be precise as to when Jack Odell lost control over what was produced under the Matchbox banner, it was a gradual process and probably only brought home to him when he was outvoted on the issue of Superfast wheels. Collectors have argued at length with some taking Odell’s view that orders around the world were still difficult to fulfil such was the demand for Matchbox models with regular wheels. Demand in particular from Germany, France and Australasia was rocketing. Sales in the US were still $6 million in 1970, albeit a drop of 75% on the previous year.Odell was planning to improve cars in the range further by fitting them with silver wheels and separate tyres as they looked more authentic. He was dismissive of Hot Wheels and was not shy of giving an opinion. He thought they would be a passing fad. After all several UK companies had tried to compete with Matchbox in the 1950s and 1960s and all had folded. Critics of Odell suggested that he was too insular and inward-looking, but he had introduced the Yesteryear range and King Size models earlier which were both very successful and was keen on the Matchbox Motorway sets, the production of which took 20% of the floor space at the new factory in Edmonton which boasted 108,000 square feet. To compensate for the fact that housing was limited nearby, the new factory had shelter for six double decker buses that Lesney had bought specifically to transport workers to and from the factory. According to Odell, the castings of the first Hot Wheels models were inferior to those of Matchbox and did not have as much play value in terms of suspension, interiors and opening parts. 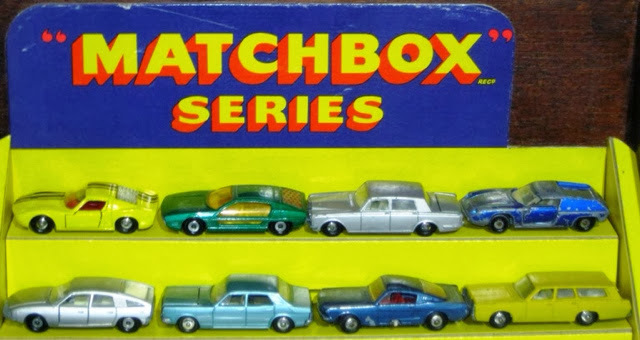 What Hot Wheels did have was speed and adherents of the Les Smith view was that Matchbox had to compete by converting its whole range to Superfast wheels. As Smith had appointed to the Board a variety of experts who told him that the way forward was for Matchbox to expand and compete, this coincided with his desire to make Matchbox the biggest toy company in the world. A glance at a pocket catalogue from the early 1970s will reveal a whole raft of ideas that were introduced at great cost but failed to succeed. Broomstick, Big MX, Scorpion, Plug Props were just some of the ranges that were short-livHowever, the fitting of Superfast wheels and these failed ranges did not by themselves lead to the downfall of Matchbox. I believe that even when Lesney went into receivership, sales of the miniature range were always in the black. The new members of the Board convinced Smith thatLesney needed to expand by purchasing other companies and huge amounts of money were spent to acquire failingcompanies such as AMT plastic kits in 1978, which proved to be a complete disaster. Smith had only ever experienced great cash flow and so he was not forced to consider implications of this new direction. Odell was only 53 when he decided to resign in 1973. For a man who had built up Lesney from scratch and had been responsible for the design and manufacture of machines and models, his last three years must have been particularly difficult. A deal was brokered whereby he would remain as honorary Deputy Chairman with a sizeable pension. He would have no influence on day-to-day events but was invited to developmental meetings, though of course his voice was often not heeded. For the next seven years he tried to improve his golf handicap and enjoyed holidays he had promised his family for years. During these seven years Les Smith was sole Managing Director. How sweet it must have been for Odell to receive an invitation from the banks, who, by 1980, controlled Lesney, to take charge once again and to find that his former partner had been forced to resign. Odell agreed to give one more year in an attempt to turn round the fortunes of Matchbox. In the event, Odell stayed from March 1980 until June 1982 but was unable to save the company, though the explanations given for this failure are interesting. In the future I will look into changes introduced into the miniature range, Matchbox without Odell and Odell’s attempts to save the company. I wonder why the Scorpions line failed? 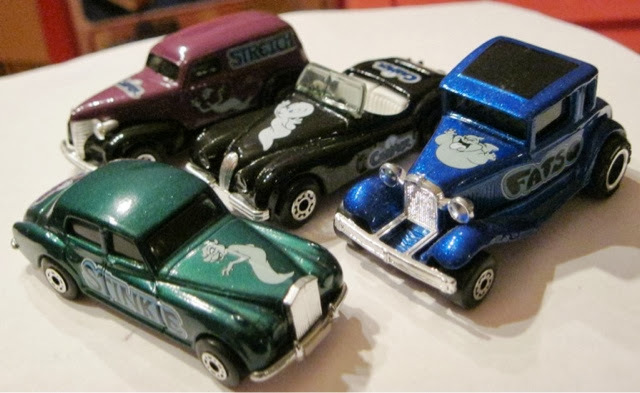 The Sizzlers line from Hot Wheels apparently did pretty well, and were reissued just a few years ago. I am kind of curious as to why Matchbox never produced models for the popular show Emergency! here in the US. Dinky made the Dodge D-300 “Squad 51” , and Universal toys (who would later become Matchbox's parent company) produced many different items that were Emergency! branded, including a diecast Ward LaFrance “Engine 51” and Squad 51. I would like to know more about Lledo, Jack Odell's own diecast brand. Really great report Nigel! And, it is nice to see you again. So, since I have nothing to say about the report, I only have one question. And, it's not certain, but it would be better if you answer. If you don't like to answer, I'm always, OKAY with that. That is my only question. Please, again, it is not certain and it's OKAY if you answer or not answer. Son, read the report. Nigel explains that the Mattel team has been on holiday, and that is why. Plus, remember that until last year Ambassador Reports were released every 6-8 weeks. Funny how quickly patience depletes so quickly.